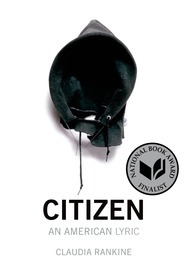 Claudia Rankine's bold new book recounts mounting racial aggressions in ongoing encounters in twenty-first-century daily life and in the media. Some of these encounters are slights, seeming slips of the tongue, and some are intentional offensives in the classroom, at the supermarket, at home, on the tennis court with Serena Williams and the soccer field with Zinedine Zidane, online, on TV—everywhere, all the time. The accumulative stresses come to bear on a person's ability to speak, perform, and stay alive. Our addressability is tied to the state of our belonging, Rankine argues, as are our assumptions and expectations of citizenship. In essay, image, and poetry, Citizen is a powerful testament to the individual and collective effects of racism in our contemporary, often named "post-race" society. Claudia Rankine is the author of four previous books, including Don't Let Me Be Lonely: An American Lyric. She currently is a chancellor of the Academy of American Poets and teaches at Pomona College.